Snickers: This is a day I will never forget. I was in kindergarten and at school when it happened. When my class went to the library, we saw some of the footage on TV and I realized that something bad had happened. When I got home, my mother told me what happened. My father too was working in New York when this happened. This is a day that I was too young to remember, but it’s a day many of my family members, and certainly many of yours might like to forget. My personal experience involved my dad, who worked only a few blocks away from the Twin Towers in New York City. If you don’t know what happened today, Fifteen years ago;I will explain. In a coordinated attack by Saudi Arabian terrorists, Four planes were hijacked on the morning of September 11, 2001. Two of them were flown into the World Trade Center, with the intent of bringing the two massive buildings down. The first tower collapsed at 9:59 A.M and the second at 10:28 A.M. At approximately 9:43 A.M, a third plane was flown into the Pentagon. The fourth aircraft never reached its destination, and was crashed into a field somewhere in Pennsylvania. 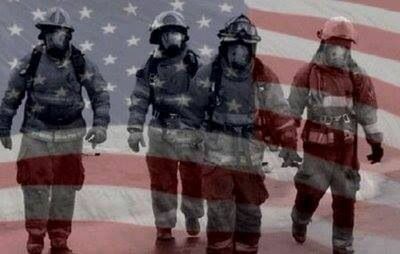 This is an a rather tragic day and you should never forget the 3,000 lives that were lost trying to evacuate the buildings, put out fires, and simply doing their every day job. We learnt about it in class, and I learnt that around 300 of the rescuers were dogs.